Due to the intrinsic properties of concrete and the requirements for thermal and structural performance existing standard concrete panels are fairly thick and heavy. This is also due to the use of steel as reinforcement, which requires a minimum thickness of 30 mm concrete cover. The minimum thickness requirements of concrete can be avoided by use of carbon reinforcement. In SESBE we developed reactive powder concrete (RPC), which shows a superior mechanical performance and durability. However, RPC is also extremely brittle. Carbon fibers and carbon fiber grids mitigate this brittleness. 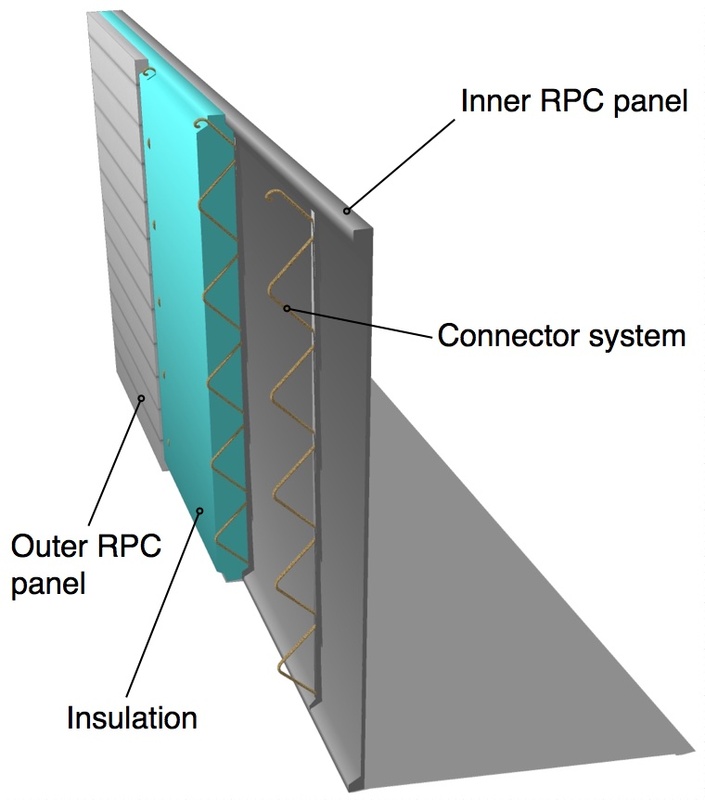 Panels of RPC were then combined with a new mineral based insulation material into sandwich elements and half elements. The insulation layer consists of modified and functionalized foam concrete. Foam concrete is non-flammable and light. For the elements, specific anchorage solutions were developed. Concept of a sandwich element with reactive powder concrete for inner and outer panel, and foam concrete for insulation. Concept for half -panels for renovation of façades.